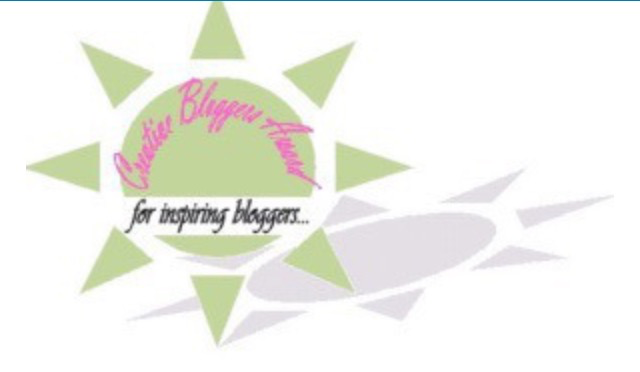 Several weeks ago I was surprised and delighted to discover my blog had received The Creative Blogger Award. The nomination came from Steve Prinz at According to Mr. Flying Pig. This is quite the honor because I enjoy his fresh and forthright poetry, which is keenly introspective and raw. I’ve enjoyed my journey these past few weeks through his work, and hope you will take a moment to check out his blog. This nomination couldn’t have come at a better time. I’m embarrassed to admit, I have been neglecting my daily rendezvous with my pen. Somehow life has swept me up into the rapid currents of the springtime run off again. However, this award has encouraged me to come back to my first love. With that said, I want to take the time to pass on the encouragement to some other amazing writers who have encouraged and inspired my thinking and writing. MICHAEL T. COE: I write words on paper sing songs in the air and paint on the canvas of my soul. Projectophile: A lover of projects, especially those derived from scavenged materials and made more beautiful through paint, thread and sandpaper….and a great sense of humor. A Writer’s Path: Theryanlanz is essential to my blogging and writing experience. I was so lucky to happen upon his work at the very beginning of my blogging journey. He offers inspirations points, prompts and quotes for writers, but my favorite posts are his Under The Microscope series where he provides a learning experience based on the critiques and compliments for the writer. Exploratorius: Old School Photo Hack & Storm Walker. loveletterstoaghost: Writing letters I can never send. I am Patience because that is all I have. I have waited 12 years for you, and I will wait a hundred more if that’s what it takes. This blog is my way of releasing myself. Young & Twenty: A twenty something writer working with creative minds to turn my words about love, life and self-discovery into pieces of art. A Walk on the Bright Side: the musings of an eternal optimist. And I need as much optimism as I can get these days! It’s Just A Theory: Born at an early age, he sprang into existence a fully-grown adult, without tact or a governor on his tongue. He was never actually a child – instead he was found under a damp rock somewhere, and has been making up for lost time ever since. 1) I have project ADHD. I struggle to finish anything I start. 2) I just added a new addition to my family, a corgi puppy. His name is Finn…yes, as in Huckleberry. He is pure puppy happiness and a terror. 3) I am a teacher. It’s the hardest job I’ve ever had, but I love it. 4) I drink wine everyday…I don’t care what my trainer says. It is part of my daily workout as well. 5) I love the wild, you will never tame me. Thank You 🙂 It was quite the surprise, considering my blog is a baby in comparison to many. I appreciate you stopping by and joining in my excitement. Thank you for the nomination, but I cannot accept. I’ve tried to explain why in my reply to your comment nominating me for this award. You may want another glass of that wine before you tackle it. 1) Mountains are my refuge, and my solitude. I can hear all of creation in the crash of a wave, and see all of our world in a coral reef; but mountains are my first love. It’s where I first learned humility before the universe – and we always remember our first love. 2) I would gladly travel to the stars. 3) Puppies are proof that something out there loves us. 4) Music is proof that there is more to this world than we can see. 5) I’m frequently appalled at the pretentiousness of my writing. And yet, I can’t seem to stop myself – and I’m surely the only person on the planet to have ever felt that way about their writing.